Each of my natural soy candles and melts are hand-poured in small batches in my home studio in Delaware. Each scent is inspired by a person, place, or experience from my life that tells part of my story. As a survivor of domestic violence, I donate ten percent of every sale to my Shine the Light Campaign. Signature, seasonal, custom, and limited edition scents each with a unique part of my story to share. 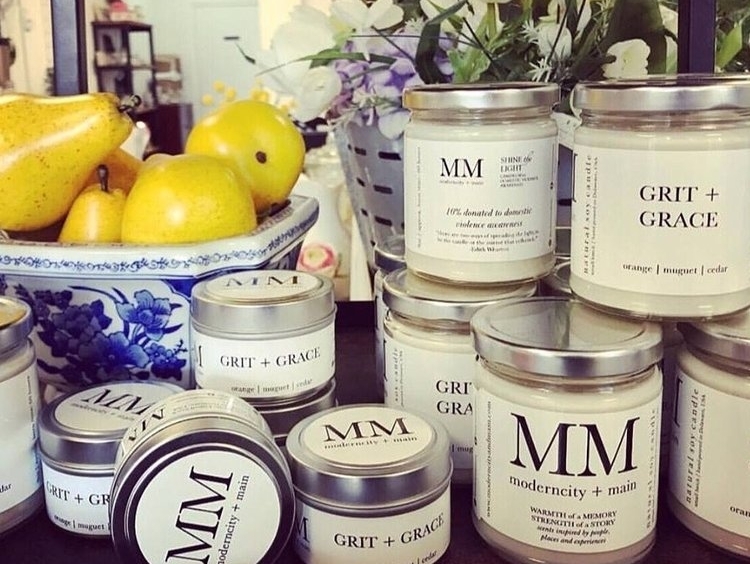 A list of shops and studios that carry Moderncity + Main candles. Interviews, write-ups, reviews, Moderncity + Main news, and more. Schedule of markets, popup shops, artist collaborations and special events.